There’s nothing better than pure, clean skin. When you think about the amount of make-up, sweat and dirt that accumulates on our faces every day, the thought of drawing out every single impurity so that nothing is left but a blank and balanced canvas, is every skin lovers dream. But when time is short and the hot water is running out, how can you ensure that your skin is getting a deep clean? What’s needed is a cleanser that works efficiently and effectively to ensure impurities and toxins are removed from the skin. So what is this magical ingredient? Well it’s charcoal of course! Yep, that very same black substance that springs into your mind is actually one sensational skin-cleaning ingredient. Charcoal is a lightweight black substance, typically made from burnt wood. It forms when wood is heated in the absence of air and consists of an amorphous form of carbon. The fine, black powder is odourless, tasteless and non-toxic. In 1831 at the French Academy of Medicine, Professor Touery consumed 15 grams of the deadly poison strychnine, but lived to tell the tale because he had mixed the poison with activated charcoal. Activated charcoal absorbs chemicals to reduce the toxicity (poison) of substances, so it can be used after a person swallows certain toxic drugs and chemicals. Today, activated charcoal is still utilised for its healing properties, from saving children after they find their way into cleaning products, to healing spider bites and naturally whitening teeth. So what does this mean for my skin? Charcoal is not only excellent at absorbing chemicals, but it also has the ability to efficiently and effectively hold onto and remove toxins and impurities from the skin. Within skin care products, charcoal has the ability to effectively deep cleanse without irritating the skin. 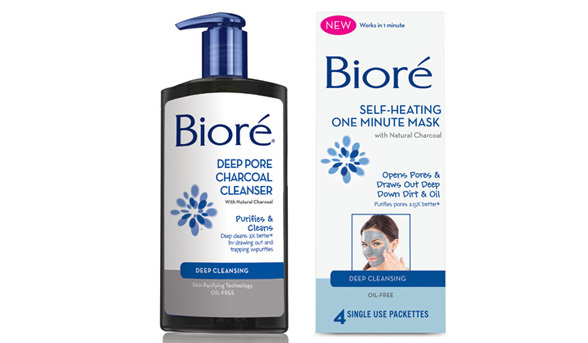 In the Bioré® Deep Pore Charcoal Cleanser, charcoal is combined with Skin Purifying Technology to effectively eliminate skin impurities and congestion, while deeply cleansing the pores. Now, don’t be put off by the dark appearance of the Bioré® Deep Pore Charcoal Cleanser. Although it appears black in the bottle (because of the charcoal ingredient) it transforms into white foam upon application and won’t stain your skin one bit. Instead, the dirt-seeking molecules will leave the skin smooth and thoroughly cleansed. As for the Bioré® Self-Heating Mask, the mask truly does heat itself up – no microwave necessary. The mask is activated by water. After massaging for about a minute, wash it off and voila! You are left with smooth and soft skin and of course naturally purified pores. Did you know that charcoal was such an excellent skin-cleansing ingredient? Which of these two Bioré® products would you most like to try? Bugger off, blackheads and blocked pores! Charcoal was suddenly picked up in the western skincare culture. In Asia people have been using charcoal as an ingredient for many years. Personally I do not find it very helpful, perhaps because I don't have oily skin. But charcoal is fun to use because of the colour. I'd love to try natural charcoal on its own. The concentration of charcoal in the bioré products is so low that it feels like a gimmick to me, they do nothing at all. The self heating mask sounds interesting.  Never heard of this before especially from biore. Though from what the article says it can do i would be interested in trying this. Interested in trying the self heating mask! Ive always wondered why charcoal has never really made it mainstream into the skincare market... I'm glad bigger brands are now investing into it. I'd love to try the mask. Really enjoyable reading the little historical snippets, too! wow, good to know charcoal has such benefits. definitely try this out next time!